While sushi is an easy no brainer for vegans, I just wanted to let the locals know about Yokohama Sushi, in case you haven’t been. They have a half price menu at lunch time and later in the evening too, though I’m not sure of the later times. 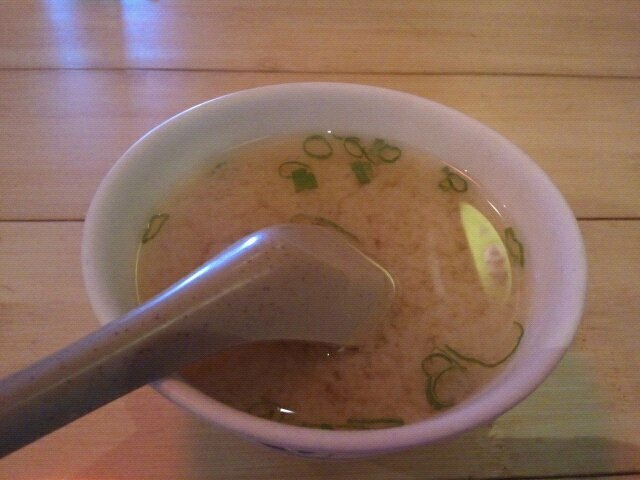 I went a couple of weeks ago with a co-worker and had a bowl of miso soup $2 and veggie rolls $3.50 each @ half price. 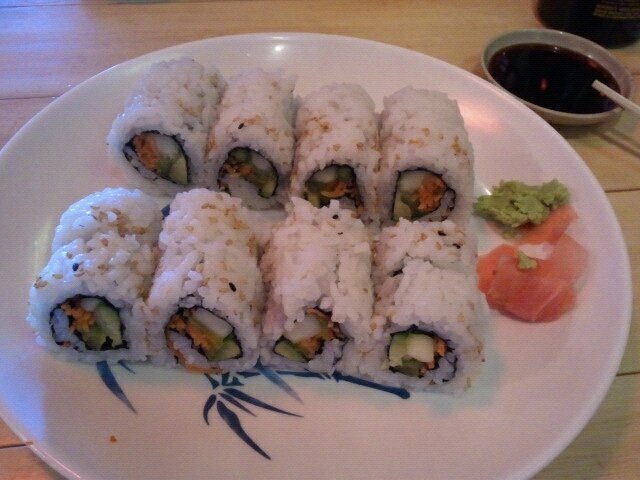 I had to order two to meet their $10 credit card minimum, and was certainly stuffed before I left with my leftovers! Great deal and a yummy meal. I’m not sure if they do brown rice rolls here, I forgot to ask! Delicious! Yokohama Sushi has two locations. One in west Boca near Glades & Lyons, and one in east Boca, which I visited, located at 60 N. Federal Hwy, Boca Raton, Florida 33432. Tel: (561) 392-9328.